Full truckload shipping, in many respects, operates very differently from less than truckload shipping. When you need to move your freight, you have two options – less than truckload (LTL) and full truckload (FTL) shipping. There’s no inherent reason that makes one option better than the other; it depends primarily on your needs, the kind of freight you are moving, the speed at which you need the cargo delivered to its destination, and many other factors. By evaluating your own situation and consulting with the experts, you can determine which method suits your needs. Today, we’re going to take a closer look at full truckload shipping and some of the things you need to know about it. There are a few unique advantages, and challenges, to this method of shipping cargo. LTL companies are very upfront about their pricing – all you have to do is give them the information on your cargo and they’ll provide you the cost. But in the realm of full truckload shipping, prices fluctuate depending on the company you ask. You’ll have to negotiate with each carrier to get the best rate for your shipment, meaning you’ll have to do your research on current trends in the market and fair market prices for comparable shipments. Despite having to do more work on your end, it can pay off big time in the form of lower shipping costs. Less than truckload carriers use standardized equipment for each shipment they take on, so typically your cargo will need to be packaged into pallets so that they can be loaded into a van trailer. But you have a greater variety of choices with FTL shipments and how they are transported. With dry vans, open deck equipment, reefers, and other transportation options available, full truckload shipping can take on a lot more types of cargo and packaging. There are three primary questions to ask when determining the kind of equipment you need for an FTL shipment: how is the cargo packaged, does it need to be weather-proof or weather-resistant, and does it need to be loaded/unloaded in a specific way? Once you have the answers to these questions, you’ll be able to choose the right transportation equipment so that your cargo gets to its destination safely. Despite all of the advantages of FTL shipping, there are still some challenges facing shippers today. The market for FTL shipping has gotten very tight over the last few years, causing rates to rise and making it harder to secure capacity, especially at short notice. Without a detailed knowledge of the field and the right partners on your side, you may find it very difficult in the current environment. The best way to make sure your company is positioned well for this tough time is to partner with an experienced third-party logistics provider like AFP Global Logistics! 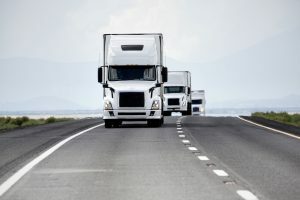 We can utilize our wide network of connections with carriers to help you handle your truckloads safely and quickly and put your company in the best position to succeed. Contact us today! This entry was posted on Friday, April 27th, 2018	at 10:43 am	and is filed under Business Basics, Domestic Shipping, Shipping Methods	. You can follow any responses to this entry through the RSS 2.0	feed. Both comments and pings are currently closed.